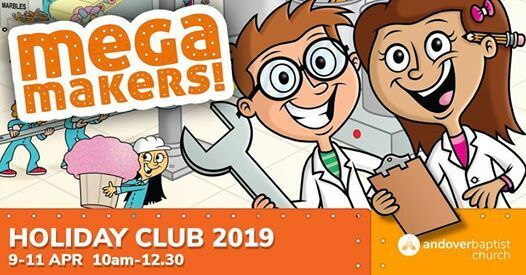 We are running a Holiday Club at ABC from 9th – 11th April 2019 on the theme of Mega Makers. The club runs 10am – 12.30 each day. The age range will be 4-11 years and the price will be £1 per child per day. The days will include sports & games, arts & crafts, snacks & drinks, stories & DVDs. It will be alot of fun and your kids will love it! Please sign up your child/children using the form provided on the below link as soon as possible as we have limited spaces available. If you are bringing more than one child please use the "Add Additional Person" button and be sure to add information for each individual child. Money will be taken on the door at the beginning of each day.